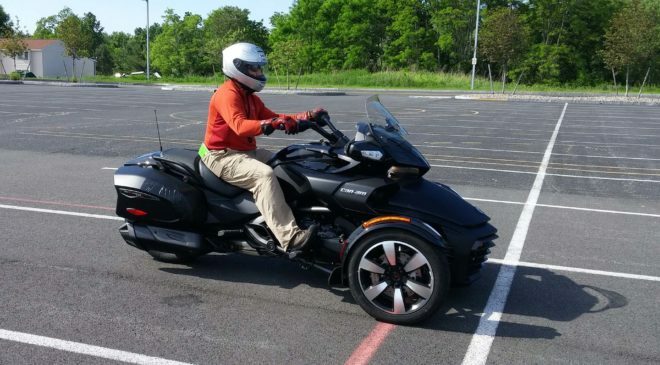 Big Apple Motorcycle School – The way to ride! 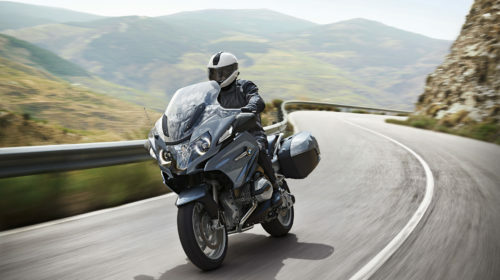 The only thing that's better than riding a motorcycle on a nice day, is knowing that the trip will be a safe one. Register on-line to schedule your class. 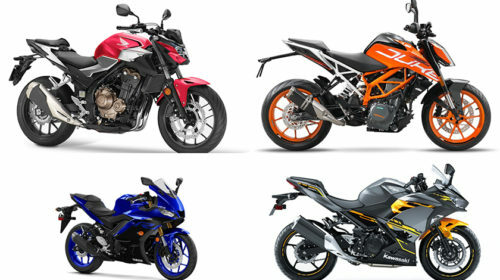 This is the year to learn to ride a motorcycle! 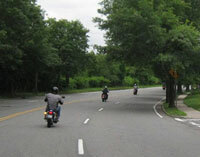 The Big Apple Motorcycle School provides professional motorcycle training with New York State certified instructors for beginner, intermediate and advanced riders. We offer offer Licensing class for new riders and experienced-riders as well as skills practice for all riders. Whether it's your first time on a bike or skills practice on your own motorcycle, the Big Apple Motorcycle School is at your service. Welcome to the Big Apple Motorcycle School! Our school was created with you in mind! We want to provide outstanding, professional training that is flexible to meet your needs. Our team of certified instructors are knowledgeable about all things motorcycle and can help you achieve the level of success that you expect. 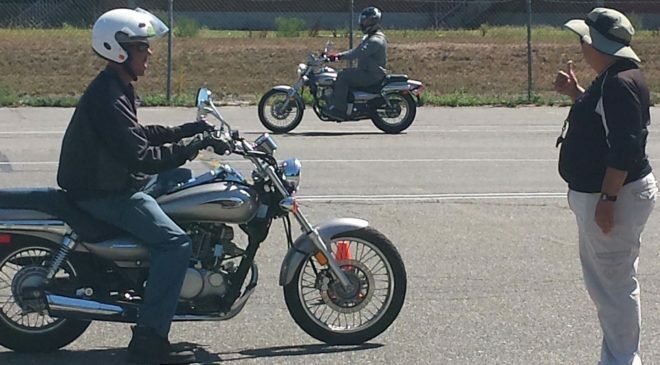 We are now pleased to offer the Motorcycle Safety Foundation's Basic RiderCourse! We have Gift Certificates available for 2019 classes that you can be personalized and given as a gift for special occasions. Please contact me if I can be of service. 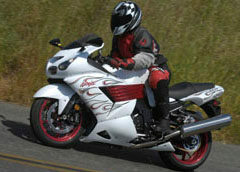 Why Big Apple Motorcycle School? Big Apple Motorcycle School is a New York State licensed Motorcycle School serving Long Island (Nassau and Suffolk counties) and New York City. Our instructors have years of experience teaching beginners to ride and will work with you to develop and improve your riding skills. 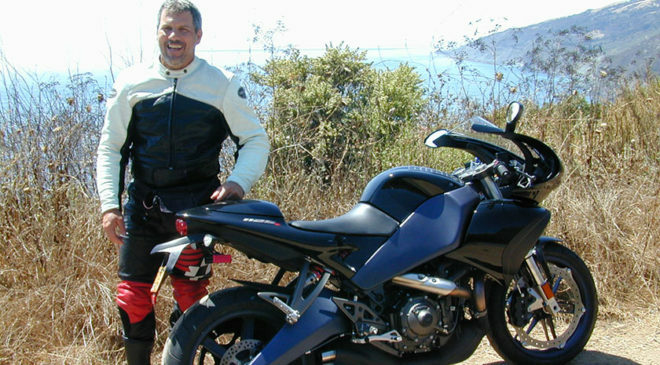 Our goal is to help you go beyond getting your motorcycle license and prepare you for real world challenges. 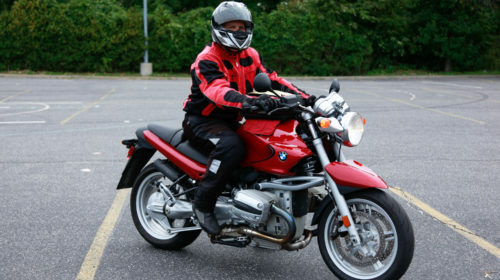 Motorcycling is a fun activity and we can help you manage the risk inherent in it. We also take ALL major credit cards for your convenience! Check our testimonials to see why our students are satisfied customers! “Went in trying to avoid a long trip to the DMV and walked out with information that could help save my life. If you are even thinking about getting a motorcycle I strongly recommend Big Apple. Great coaches and very useful information. Staying safe starts with quality information and practice. 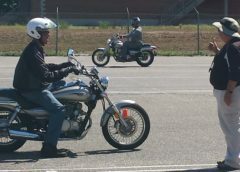 You get both here.”from Adam of East Northport, a March 2019 student who took our MSF Basic RiderCourse. “Comprehensively professional. Positively reinforced and utterly clear and specific in objectives and tools to accomplish stated objectives. Highly recommended.”from Tim of Brightwaters, a September 2018 student who took our MSF Basic RiderCourse. 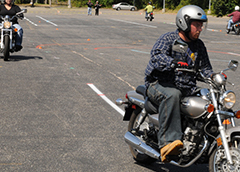 “I knew Big Apple Motorcycle School would be exceptional and they exceeded my expectations. 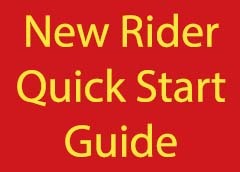 My zero experience entering changed in 3 days to a comfortable and confident beginner rider. I need a lot of practice still but on my own know what to do now. I’ve gained even more respect for motorcyclists as they require intense skills, mental focus and ability. Thanks to this fantastic and fun class, I’m ready to ride!”from Molly of Long Island, an April 2018 student who took our MSF Basic RiderCourse. “Highly professional staff, taught the material at a good pace and ensured everyone understood the material prior to moving to the next lesson. Prior to the class I had never operated a motorcycle, and they took it one step at a time until the other students and myself were comfortable maneuvering the parking lot. I absolutely recommend their course to anyone who is interested in riding a motorcycle and isn’t sure where to start” from Paul of New York, an April 2018 student who took our MSF Basic RiderCourse. 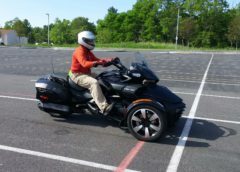 "Big Apple Motorcycle School really exceeded my expectations. 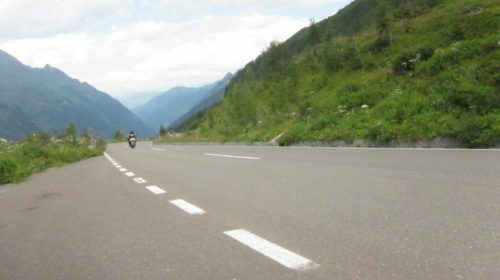 This course was excellent and improved my overall knowledge of motorcycling and helped me to focus much more than before while riding on the road. I highly recommend this school to any beginner and experienced rider. 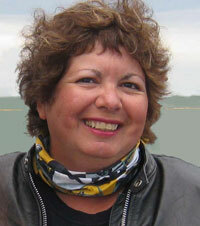 Diane and her coaches are very knowledgeable and skilled riders. You will NOT be disappointed. "from Larry of Deer Park, a June 2016 student who took our MSF Basic RiderCourse. "Let's get down to brass tacks, you NEED to take this course if you wanna ride a motorcycle. Life isn't an episode of 'Sons of Anarchy'. There are real dangers out there on the road that we face everyday even just in our cars. You'll learn how to stay alive out there and enjoy a long safe career as a biker. The instructors are incredibly thorough and nothing is left unexplained. I'm absolutely signing up for the advanced courses. Thank you George, Diane, and Felice! You guys ROCK! "from Cole of West Sayville, a September 2015 student who took our MSF Basic RiderCourse. "Having never ridden before, and feeling the anxiety and excitement associated with learning something brand new, the program absolutely made the learning experience incredibly enjoyable. The information provided goes well beyond what my expectations were, and left me with more than a solid foundation to build my riding career upon. I am grateful for the guidance and knowledge of the instructors, their honesty, positive attitude, constructive criticism, and most importantly their passion for what they do so well. "from Matthew of Floral Park, a September 2015 student who took our MSF Basic RiderCourse. “Awesome course. The instructors are all veteran riders with great attitudes. 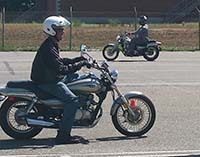 They focus on safely teaching the skills and good riding techniques that will benefit you for years to come once you get a license. 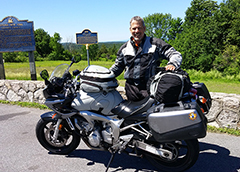 I will highly recommend this course to anyone interested in motorcycle riding.”from Cyrus of Southampton, a July 2015 student who took our MSF Basic RiderCourse.